Family First NZ is rejecting calls by the Internet party leader Laila Harre to decriminalise marijuana, and says that decriminalising marijuana is the wrong path if we care about public health and public safety, and about our young people. “It is ironic that at the same time as we ban synthetic cannabis, and tear the labelling off cigarette packets, price them out of existence, and ban them from being smoked within breathing space of any living creature, supporters of marijuana are peddling the same myths that we believed for far too long about tobacco – that marijuana is harmless, and it can even have health benefits,” says Bob McCoskrie, National Director of Family First NZ. “Drug use is both a criminal and a health issue. There is a false dichotomy that criminal sanctions haven’t worked so we should ditch them all together and we should focus only on education and health initiatives. We should maintain both,” says Mr McCoskrie. “A feeble approach to marijuana use will simply send all the wrong messages to our young people and to our families – that drug use isn’t that big a deal,” says Mr McCoskrie. Family First NZ is labelling calls by the Auckland Deputy Mayor to decriminalise cannabis because it’s safer than synthetic drugs as ‘dopey’ and out of touch with reality. “It is ironic that at the same time as we ban synthetic cannabis and we try to price and label cigarettes out of existence, supporters of marijuana are peddling the same myths that we believed for far too long about tobacco – that marijuana is harmless, and it can even have health benefits,” says Bob McCoskrie, National Director of Family First NZ. Researchers from the Medical Research Institute of New Zealand found that a single cannabis joint could damage the lungs as much as smoking up to five tobacco cigarettes one after another. The Australian Medical Association has issued warnings on the health risks associated with smoking marijuana including memory loss, psychosis, impaired driving, hallucinations, asthma and lung cancer. Britain’s Medical Research Council says the link between cannabis and psychosis is clear; it wasn’t 10 years ago. “Tackle the nightmare of legal highs, but let’s not pretend that marijuana is a harmless substitute.” Only one in three NZ’s believe that marijuana should be decriminalised, according to an independent poll. In the poll of 1,000 NZ’ers by Curia Market Research, respondents were asked whether they agreed with the statement “If an adult wishes to use a drug such as marijuana, they should be able to do so legally.” Only 33% of respondents agreed, with 60% disagreeing and 7% being unsure or refusing to say. It is ironic that at the same time as we ban synthetic cannabis, and tear the labelling off cigarette packets, price them out of existence, and ban them from being smoked within breathing space of any living creature, supporters of marijuana are peddling the same myths that we believed for far too long about tobacco – that marijuana is harmless, and it can even have health benefits. It is also ironic that in the same month that dope supporters tried to persuade us that legal highs wouldn’t be as attractive if we decriminalised marijuana, a Harvard University study was published in The Journal of Neuroscience showing that using marijuana even casually is enough to alter critical brain structures. And just last month, a study by French researchers published in the Journal of the American Heart Association raised new concerns about the safety of marijuana and the risk for young adults for serious or even fatal heart problems. Supporters of decriminalisation would have us believe that cannabis is a gentle, harmless substance that gives users little more than a sense of mellow euphoria and hurts no one else. But the cannabis now in circulation is many times more powerful than that typically found in the early 1990s, with up to a 25-fold increase in the amount of the main psychoactive ingredient, tetrahydrocannabidinol (THC). Naturally, growers want to sell marijuana with increased potency because it’s more addictive. With increased potency comes increased health risks, and greater likelihood of addiction. According to the American Lung Association, there is 50-70% more cancer-causing material in marijuana smoke than in cigarette smoke. And researchers from the Medical Research Institute of New Zealand found that a single cannabis joint could damage the lungs as much as smoking up to five tobacco cigarettes one after another. The Australian Medical Association has issued warnings on the health risks associated with smoking marijuana. Cannabis users risk memory loss, psychosis, impaired driving, hallucinations, asthma and lung cancer. 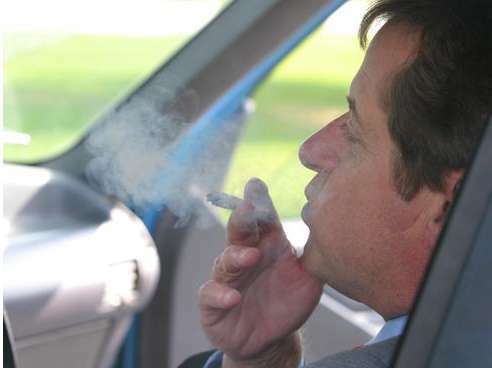 The Christchurch Health and Development study found that the risks of driving under the influence of cannabis may now be greater than the risks of driving under the influence of alcohol. And there is strong evidence that it is a gateway drug to harder drugs like cocaine, ecstasy and P. Of course, not all cannabis users go on to the harder drugs but most hard drug users began with illicit drugs like cannabis. 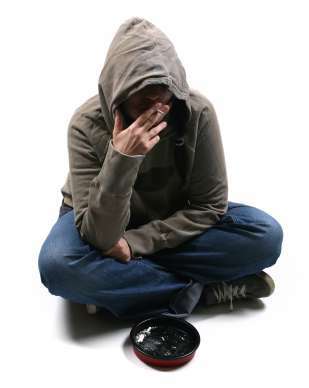 There are also links between drug use and poor educational outcomes, unsafe sexual practices, poor work attendance and serious mental health issues. Britain’s Medical Research Council says the link between cannabis and psychosis is clear; it wasn’t 10 years ago. A recent UK Government-commissioned report quoted in The Lancet found that a single joint of cannabis raises the risk of schizophrenia by more than 40 per cent and taking the drug regularly more than doubles the risk of serious mental illness. And there is a flow-on effect. A study from the University of Washington published in the Journal of Abnormal Child Psychology found that children of smokers, heavy drinkers, or marijuana users are more likely to have behavior problems when they are young and consequently more likely to have drug problems themselves as they get old. Groups like the Law Commission, NORML and the Drug Foundation try to argue that the statutory penalties for cannabis use have not changed in over 35 years and that drug use is a health issue and we are wasting time and resources focusing on the criminal aspect. But research in the International Journal of Drug Policy (2012) found there has been a substantial decline in arrests for cannabis use in New Zealand over the past decade, that the maximum sentences set out in drug control statutes are rarely imposed, and offenders rarely receive anything other than a fine and a criminal record. Police diversion and Alcohol and Other Drug Treatment (AODT) Courts have been increasingly used. There is a false dichotomy that criminal sanctions haven’t worked so we should ditch them all together and we should focus only on education and health initiatives. Decriminalising marijuana is the wrong path if we care about public health and public safety, and about our young people. In Sweden, drug use is just a third of the European average. Police take drug crime seriously but there is a strong emphasis on prevention, drug laws have been progressively tightened, and extensive treatment and rehabilitation opportunities are available to users. Then there’s the smoke-screen of medicinal marijuana. In 1979, NORML said “We’ll use medical marijuana as red-herring to give marijuana a good name”. But a US study found that the average ‘patient’ was a 32-year-old white male with a history of drug and alcohol abuse and no history of life threatening illness. Scientists have used the marijuana plant’s primary active ingredient – THC – as a pill form for nausea and appetite stimulation, but the ‘medicinal marijuana’ strategy simply manipulates society’s compassion for people with serious pain and health concerns. The ‘legalise but tax it’ message is also seductive, but false. You just have to compare the taxes gained on alcohol versus the horrendous fiscal and social costs that alcohol causes to see the deficiency in this argument. Decriminalisation would drive the price down and increase use and harm. It is the illegality of the drug that has kept its use low compared to alcohol and tobacco. The restrictions on P, heroin and cocaine will never eliminate them, but they’ve prevented a pandemic. A feeble approach to marijuana use will simply send all the wrong messages to our young people and to our families – that drug use isn’t that big a deal. Tackle the nightmare of legal highs, but let’s not pretend that marijuana is a harmless substitute. “A weak-kneed approach to marijuana use will simply send all the wrong messages that small amounts of drug use or dealing or growing aren’t that big a deal – the completely wrong message, especially for younger people and families,” says Bob McCoskrie, National Director of Family First NZ. A recent UK Government-commissioned report quoted in The Lancet found that a single joint of cannabis raises the risk of schizophrenia by more than 40 per cent and taking the drug regularly more than doubles the risk of serious mental illness. And the London Institute of Psychiatry found there was a “very clear link between psychiatric illness and marijuana use”. An Australian study from the National Drug and Alcohol Research Centre at the University of NSW found previous drug use is driving the growing use of amphetamines by young adults. And a study from the University of Washington published in Journal of Abnormal Child Psychology found that children of smokers, heavy drinkers, or marijuana users are more likely to have behavior problems when they are young, and consequently more likely to have drug problems themselves as they get old. “Drug use is both a criminal and a health issue. But any proposal to go soft on drug use, drug growing and drug dealing at any level should be completely rejected. This view is supported by a strong majority of NZ’ers,” says Mr McCoskrie. Only one in three NZ’s believe that marijuana should be decriminalised, according to an independent poll. In the poll of 1,000 NZ’ers by Curia Market Research, respondents were asked whether they agreed with the statement “If an adult wishes to use a drug such as marijuana, they should be able to do so legally.” Only 33% of respondents agreed, with 60% disagreeing and 7% being unsure or refusing to say. “This independent poll flies in the face of the TV3 The Vote poll which had 72% voting for ‘soft drugs’ to be decriminalised. But their question simply fed the myth that cannabis is a gentle, harmless substance,” says Mr McCoskrie. The nationwide poll was carried out in September and has a margin of error of +/- 3.2%. Only one in three NZ’s believe that marijuana should be decriminalised, according to an independent poll of NZ’ers. In the poll of 1,000 NZ’ers by Curia Market Research, respondents were asked whether they agreed with the statement “If an adult wishes to use a drug such as marijuana, they should be able to do so legally.” Only 33% of respondents agreed, with 60% disagreeing and 7% being unsure or refusing to say. Females were more likely to oppose marijuana being legal, but there was greater support from the 18-40 age group compared to other age groups. National supporters were most opposed to legalising marijuana (68%) compared to other parties. “This independent poll flies in the face of the TV3 The Vote poll which had 72% voting for ‘soft drugs’ to be decriminalised. But their question simply fed the myth that cannabis is a gentle, harmless substance that gives users little more than a sense of mellow euphoria and hurts no one else,” says Bob McCoskrie, National Director of Family First NZ. A recent UK Government-commissioned report quoted in The Lancet found that a single joint of cannabis raises the risk of schizophrenia by more than 40 per cent and taking the drug regularly more than doubles the risk of serious mental illness. And the London Institute of Psychiatry found there was a “very clear link between psychiatric illness and marijuana use”. An Australian study from the National Drug and Alcohol Research Centre at the University of NSW found previous drug use is driving the growing use of amphetamines by young adults. And a study from the University of Washington published in Journal of Abnormal Child Psychology found that children of smokers, heavy drinkers, or marijuana users are more likely to have behavior problems when they are young, and consequently more likely to have drug problems themselves as they get old. “Drug use is both a criminal and a health issue. Any proposal to go soft on drug use, drug growing and drug dealing at any level should be completely rejected. This view is supported by a strong majority of NZ’ers,” says Mr McCoskrie. The nationwide poll was carried out earlier this month and has a margin of error of +/- 3.2%. Family First NZ is labeling statements by Greens co-leader Metiria Turei regarding the benefits to Maori of growing marijuana as dangerous and dopey, but expected from the Greens. “What the Green party should be calling for is ‘real skills’ that are legal and beneficial, and horticulture and entrepreneurial skills that benefit families and children – not put them at further risk for addiction and mental illness. A zero-tolerance approach to the use of drugs is a far better solution. To label drug growing as an ‘initiative’ is just plain dopey,” says Mr McCoskrie. Family First NZ is welcoming a Government backdown on a proposed law change to ban schools from drug testing or searching students for drugs. “Schools need to be supported in their fight against drug use and dealing by young people – not disempowered. This proposed policy was dangerous because it would have made it far more difficult for schools to detect and prevent drugs being used, carried and distributed in schools, and would have created an unsafe environment for the whole school community,” says Bob McCoskrie, National Director of Family First NZ. In 2011, 241 students were expelled for drug offences, and 2174 suspended – 298 of them 12 and under. “We need to focus on the effects on health of using drugs, links with mental illness, high use by school pupils, driving under the influence of cannabis, and the progression from lesser drugs to more dangerous drugs like P,” says Mr McCoskrie. 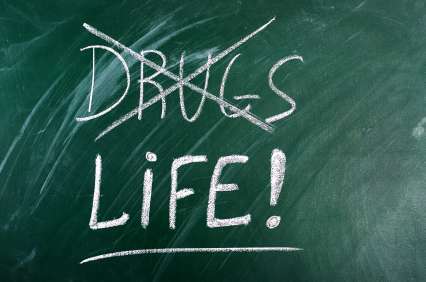 Family First NZ is labeling a proposed law change to ban schools from drug testing or searching students for drugs as dopey and dangerous to the welfare of young people, and parents will rightly be outraged with the proposal. “Schools need to be supported in their fight against drug use and dealing by young people – not disempowered. This proposed policy is dangerous because it will make it far more difficult for schools to detect and prevent drugs being used, carried and distributed in schools, and will create an unsafe environment for the whole school community,” says Bob McCoskrie, National Director of Family First NZ. Family First NZ is labeling calls by ACT party leader Don Brash to decriminalise marijuana as dangerous and dopey, and questions how committed the party really is to the policy. The Christchurch Health and Development study found that “dopey driving” was more common than drink-driving. “What the ACT party should be calling for is better treatment facilities for addiction and mental illness. A zero-tolerance approach to the use of drugs combined with treatment options is a far better solution,” says Mr McCoskrie. “A proposal to go soft on drug use and drug dealing at any level should be completely rejected. Family First NZ is rejecting recommendations by the Law Commission to soften punishments for drug dealing and personal drug use, labeling the ideas flawed, dangerous and dopey. “The ‘softly-softly’ approach has been a spectacular failure in terms of general crime levels. Why would we ever think that it would work with drug abuse,” says Bob McCoskrie, National Director of Family First NZ. “The report is correct to call for better treatment facilities for addiction and mental illness, but a zero-tolerance approach to the use of drugs combined with treatment options is a far better solution,” says Mr McCoskrie. A recent UK Government-commissioned report quoted in The Lancet found that a single joint of cannabis raises the risk of schizophrenia by more than 40 per cent and taking the drug regularly more than doubles the risk of serious mental illness. An Australian study from the National Drug and Alcohol Research Centre at the University of NSW found previous drug use is driving the growing use of amphetamines by young adults. “A proposal to go soft on drug use and drug dealing at any level should be completely rejected,” says Mr McCoskrie.